Wayne State University Press, 9780814345429, 384pp. 1968 and Global Cinema addresses a notable gap in film studies. Although scholarship exists on the late 1950s and 1960s New Wave films, research that puts cinemas on 1968 into dialogue with one another across national boundaries is surprisingly lacking. Only in recent years have histories of 1968 begun to consider the interplay among social movements globally. The essays in this volume, edited by Christina Gerhardt and Sara Saljoughi, cover a breadth of cinematic movements that were part of the era's radical politics and independence movements. Focusing on history, aesthetics, and politics, each contribution illuminates conventional understandings of the relationship of cinema to the events of 1968, or "the long Sixties." The volume is organized chronologically, highlighting the shifts and developments in ideology in different geographic contexts. The first section, "The Long Sixties: Cinematic New Waves," examines both the visuals of new cinemas, as well as new readings of the period's politics in various geopolitical iterations. This half of the book begins with an argument that while the impact of Italian Neorealism and the French New Wave on subsequent global new waves is undeniable, the influence of cinemas of the so-called Global South is pivotal for the era's cinema as well. The second section, "Aftershocks," considers the lasting impact of 1968 and related cinematic new waves into the 1970s. The essays in this section range from China's Cultural Revolution in cinema to militancy and industrial struggle in 1970s worker's films in Spain. In these ways, the volume provides fresh takes and allows for new discoveries of the cinemas of the long 1968. 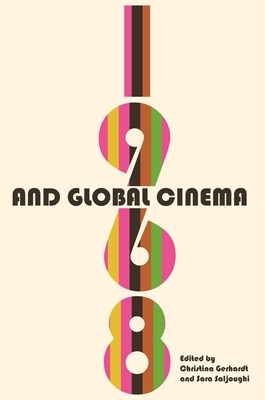 1968 and Global Cinema aims to achieve balance between new readings of well-known films, filmmakers, and movements, as well as new research that engages lesser-known bodies of films and film texts. The volume is ideal for graduate and undergraduate courses on the long sixties, political cinema, 1968, and new waves in art history, cultural studies, and film and media studies. Christina Gerhardt is associate professor of film and German at the University of Hawai'i. Her writing has been published in Cineaste, Film Criticism, Film Quarterly, German Studies Review, Mosaic, New German Critique, Quarterly Review of Film and Video, and The Sixties.Sara Saljoughi is assistant professor of English and cinema studies at the University of Toronto. Her essays have appeared in Camera Obscura, Feminist Media Histories, Iranian Studies, Film International, and Film Criticism.